I've just found out something rather exciting. I adore Vivienne Westwood... Her quirky, eye-catching designs never fail to amaze me. But what has she done this time? 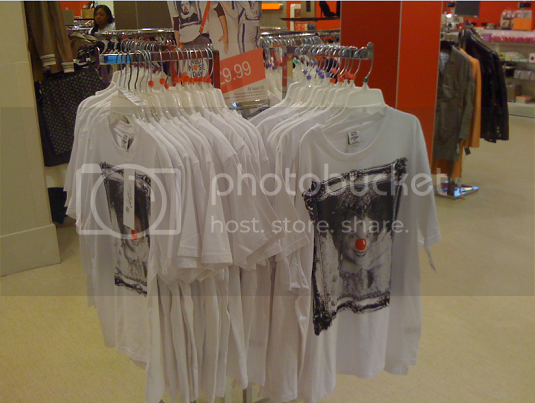 She's only joined forces with TK Maxx to design some Tshirts to raise money for Comic Relief! With celebrities getting involved in the campaign, including Sienna Miller, Ellie Goulding and David Walliams, the t-shirts have gone on sale today in TK Maxx stores and online. Priced between £5.99 and £9.99, the black and white Blackadder-themed tops, customised with a red nose, are available for adults and children... So go and grab your tee now! 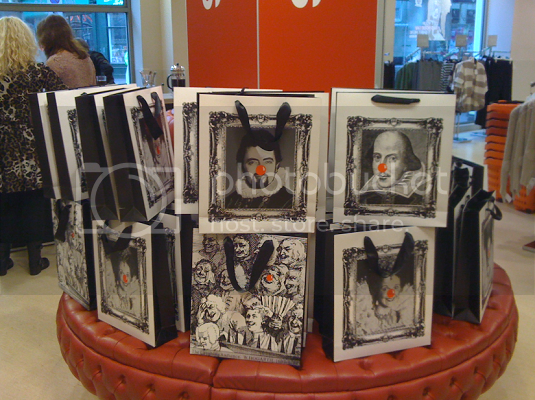 Courtesy of Tor, here are a couple of photos which she took at the Charing Cross store. I'm definitely going to be buying one this weekend!